Timeless shopper for men and women which is getting nicer after years. 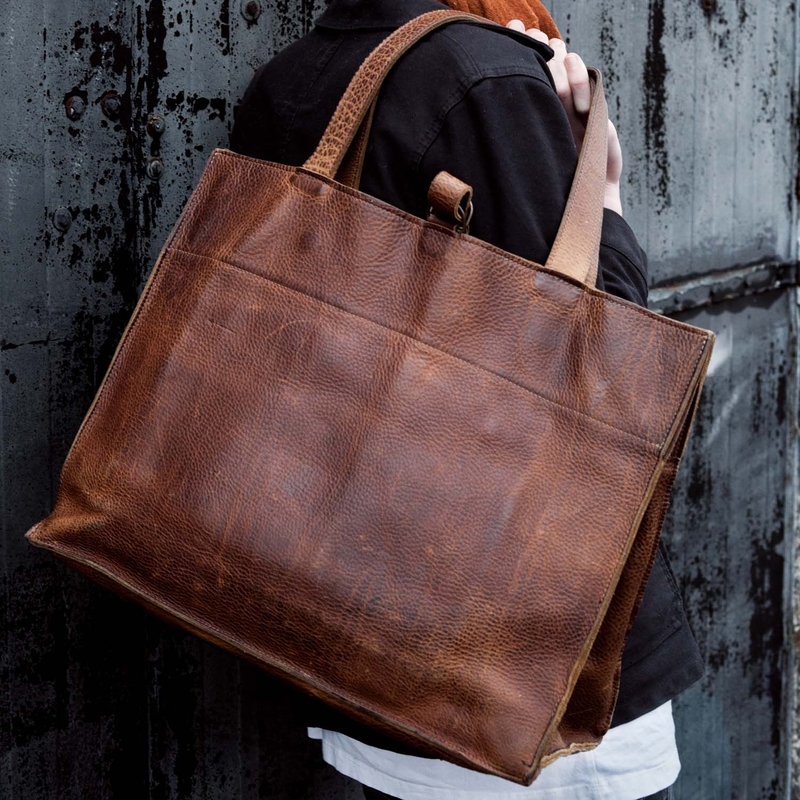 Two handles, leather strap fastening on top and magnetic fastenings on the inside. Compartment with zip fastening on the inside.